Smartphone apps are revolutionising the way we access information for our daily commute – as well as our vacations. Gina Baksa looks at some of the best smartphone apps for train travellers. JustRide – MBTA mTicket. Passengers don't need an internet connection as tickets are stored offline. Tickety Split. Dividing a train journey into two separate tickets can save hundreds each year. You can use Twitter updates from your railway network and keep friends and family informed of your location via text / email / FB and Twitter. Tube Map – London. Arguably the most useful function is the ability to check your pay as you go Oyster Card balance. Tube Exits. 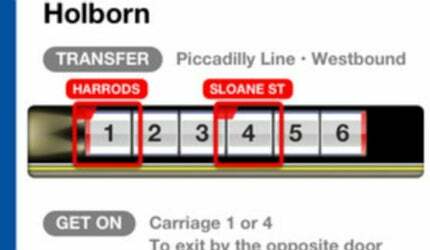 It provides platform exit information for all Tube, DLR and London Overground (New) stations. FareBandit is available in Prague, Berlin, Bratislava, Paris and Vienna. If you own a smartphone, chances are you regularly use one or two apps for business and pleasure. The $20bn app market has exploded, thanks to tablet and smartphone technology, and created thousands of jobs in small app companies around the globe. Apple has around 775,000 available on its App Store (300,000 of which are iPad dedicated), while Google Play offers around the same amount. Last year Apple announced downloads of more than 35 billion. Mobile ticketing and fare collection developers Masabi (masabi.com) have created an app that lets you purchase, download and display tickets for your local train network using your smartphone. 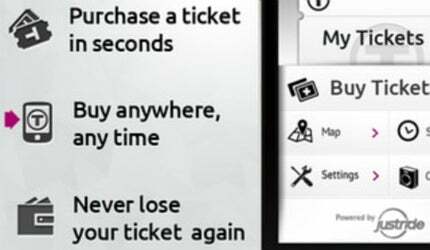 Used by many UK and global train operators, the apps are free, run without ads and offer a handy ticket-storing system. Simply scan your barcode at the ticket barrier. You don’t even need an internet connection as your tickets are stored offline. The travel planner is a neat feature with maps, live information and scheduled departures – all at your fingertips. JustRide also has special offers with selected partners – a brilliant mTicketing app. Conceived for Eurail and InterRail Pass holders, this app is just as useful for family rail holidays and business trips. RailPlanner covers Europe-wide train travel with up-to-date pan-European timetable information and detailed city and country maps. The app can be used offline too, so you can avoid expensive roaming charges. Find your closest railway station with the handy inbuilt reality function, and enjoy extra benefits such as free and discounted boat and ferry trips, hotel and museum discounts (for Pass holders only). It was created by HaCon, a leading European developer that has already designed apps for Deutsche Bahn and Austrian Railways. 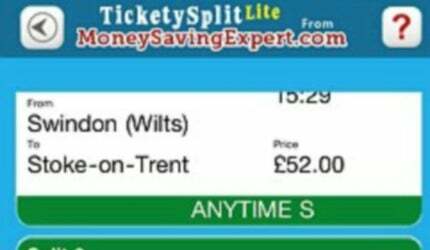 Dividing your train journey into two separate tickets can save you hundreds of pounds a year. Known as ticket splitting, you don’t actually leave the train, you just buy two separate tickets. Rail companies have kept schtum on the technique, for obvious reasons, but it’s perfectly legal. Simply enter the journey you want to make, and the app will tell you if it’s cheaper to split – and at which locations. Perfect for UK rail users and commuters, you can locate your next train, its platform and any delays instantly. Even better, you can track Twitter updates from your railway network and keep colleagues and friends and family informed of your location via text / email / FB and Twitter – all within the app. Powered and approved by Network Rail Enquiries, the information is live and up-to-date for travel within the next two hours. The app covers all live arrivals and departures on the UK National Rail Network – including London Overground – but does not include London Underground information. It’s worth noting that not all rail networks release platform information, for example Virgin Trains from Euston. 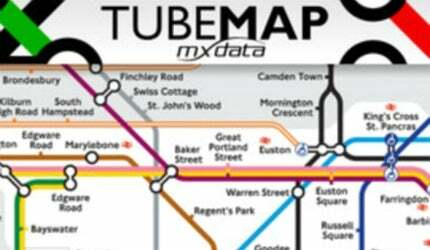 An award-winning app with more than one million users, this is much more than a simple tube map. Want to plan journeys? Check. Find out when the next tube is coming? Check. Plan a new route if there are delays on your line? Check. Tube Map can even give you the location of your nearest London Tube station if you’re out and about and need to head home in a hurry. You can even check your Oyster Card balance – an extremely useful feature. The map is now cleverly synched with Bus London and myTrains, making cross-capital travel just that much easier. The genius behind Tube Exits, developer Lance Stewart created this, his first app back in 2008, and now has a dedicated start-up team. Guessing the best carriage to be in for the shortest transfer to another platform is now a thing of the past. Not only does this app tell you which carriage to board, but also provides platform exit information for all Tube, DLR and London Overground (New) stations. It also shows live line status information, alternative routes and has a handy tube map, which is accessible offline. Tube Exits has had more than 50,000 downloads from the App Store and is now available for the Paris Metro and Berlin U-Bahn. Like the UK app (see above) Exit Strategy cuts journey times – in this instance for NYC – by telling you the best railway car to travel in for optimum station entrances and exits for your journey. The ‘ultimate New York City navigation app’ has zoomable, scrollable and fully-interactive MTA subway maps, and bus maps for all five boroughs, as well as neighbourhood maps for all streets in Manhattan. It also includes useful address ranges so you can find those cross streets. Best of all you don’t even need an internet connection. Navigating the Big Apple was never so easy. Incredibly this is still a free app and packed full of value offering travellers detailed information for bus, train, taxi, subway and biking and walking directions, plus local station search and station-to-station schedules in more than 140 locations across Europe, New Zealand and Australia, Canada and the US. One fun feature is HopStop Live!, allowing you to see what other users are saying – in real time – about the various locations and transportation you use the most. And for wheelchair users there is a special feature that highlights wheelchair and stroller-friendly routes. Share your information and directions easily via email, messaging, Facebook and Twitter. FareBandit’s creator is a self-admitted member of the 240,000-plus group of fare dodgers, or ‘black riders’, who pass through the Prague public transport system each year without purchasing tickets. Downloaded by more than 1,000, Pechousek has cleverly integrated Google maps into the app. "I am a software developer by trade, and I wanted to create something for mobile platforms that hadn’t been done before," he says. "It struck me that an app that could share the location of inspectors would be extremely useful to some people." If you’re a dodgy customer too, you’ll be pleased to know that FareBandit is also available for Berlin, Bratislava, Paris and Vienna. (While we applaud ingenuity railway-technology does not condone fare dodging). Created as a joint venture, MO is a hybrid of Zipcar car sharing with bike-sharing and public transport use, encouraging subscribers to use the lowest impact transportation options possible. Connecting to each user’s app, Mo tracks the mileage used and rewards users when they choose a ‘green’ travel option. For example, using public transport can store up miles that can be used later to rent a car or a bike. Users receive extra credit for using their own bikes. Still in its infancy, Mo is only in use around Munich, but the technology could well spread to other parts of Europe, meaning fewer cars on streets and a quieter environment. Helps you find your way around public transport in more than 400 cities worldwide. Simply download the city you’re visiting and plan your route via bus, tram, tube and train. It also provides weekly updates. Voted iPhone Game of the Year by DIYGamer, this fun, highly addictive app from Voxel Agents puts you at the controls of a train – perfect when you’re stuck in a tunnel or a junction. Send trains to their destinations with a brief swipe of your finger. Magic! Test your mettle in peak-hour train rush. Train Conductor 2 USA is now available on Android. Realistic sounds and excellent graphics will help you pass the time on any train journey. One of the top-ranked train game sims on iTunes users can drive – and crash – their trains in a realistic 3D world. Choose from a variety of locomotives in various world locations – all with different view modes. Watch from the trackside or take in the view from the cab. New content is being released continuously. 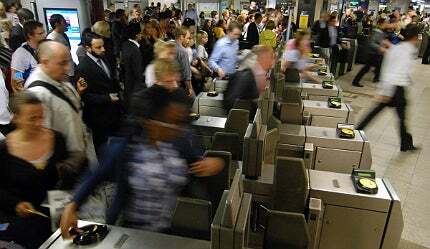 Just the ticket – will free rail fare data benefit passengers? The UK’s Association for Train Operating Companies (ATOC) has for the first time made its database of rail fares freely available to website and app developers, as part of a push for governmental data transparency. For the 2012 Olympic Games, London’s transport network transformed itself from a rickety liability into a transit powerhouse. But how did it pull off this medal-worthy feat?